I created it all by myself and with some help from my brothers. A lot of things in this map I learned from tutorials. It is somewhat of a NOAMZ level. It has a deathcounter and a cash system. When you kill zombies, you get 1 added to your killcounter and 1 cash. When you have enough cash, you can buy upgrades. when you play long enough, you can buy all the upgrades. The game has no end. Upgrades you can buy from the cash you earn include: physics objects,a dropship with friendly Combine, increased ammo carrying capacity, increased damage on weapons, a friendly turret, a friendly sniper, change gravity, unlimited flashlight/sprint, and some more. But when the dropship has landed, and the soldiers jump out, be sure not to buy the friendly dropship again, because the existing soldiers will be replaced. For example: you choose dropship 1 and the soldiers jump out. Then you go back and choose the dropship 1 again. The dropship lands and the ones that are already on the field disappear. you can still choose for dropship 2 (the elites). I know it would be better if you could spawn additional combines, but I didn’t change it because you could fill the level with Combine and I’m trying to prevent that. Watch out for the poison headcrabs, I died mostly because they attacked me, and then a zombie attacked me. Also, be sure not to drop a bomb too close to yourself, for example, you launch a grenade with a smg1, and suddenly a fastzombie jumps up, resulting in the grenade exploding in your face. I tried to do my best on this level and I like it. 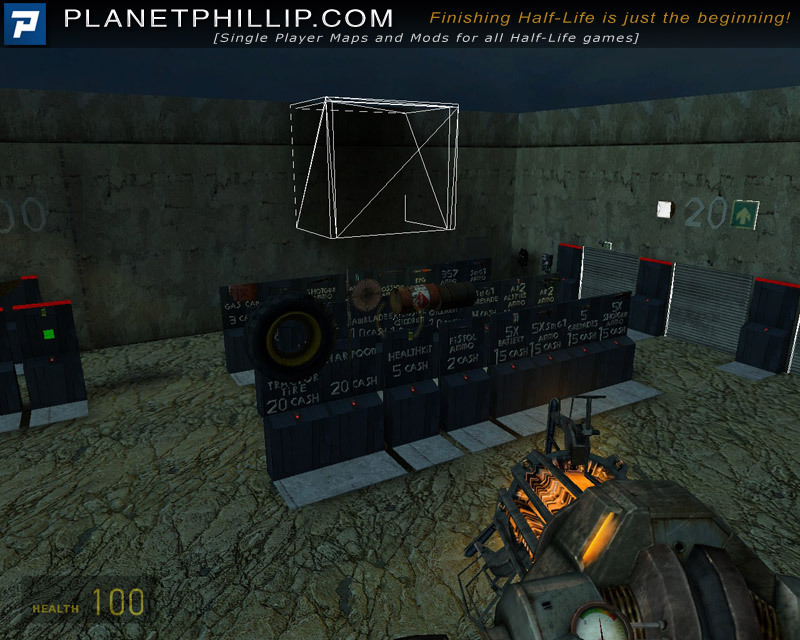 I have tested it fairly well, so you shouldn’t expect a lot of errors (that’s why I put it in completed maps). It is optimized, so you should expect a good FPS rate. I compiled it on fast mode with the Hammer compiler, it took half an hour. 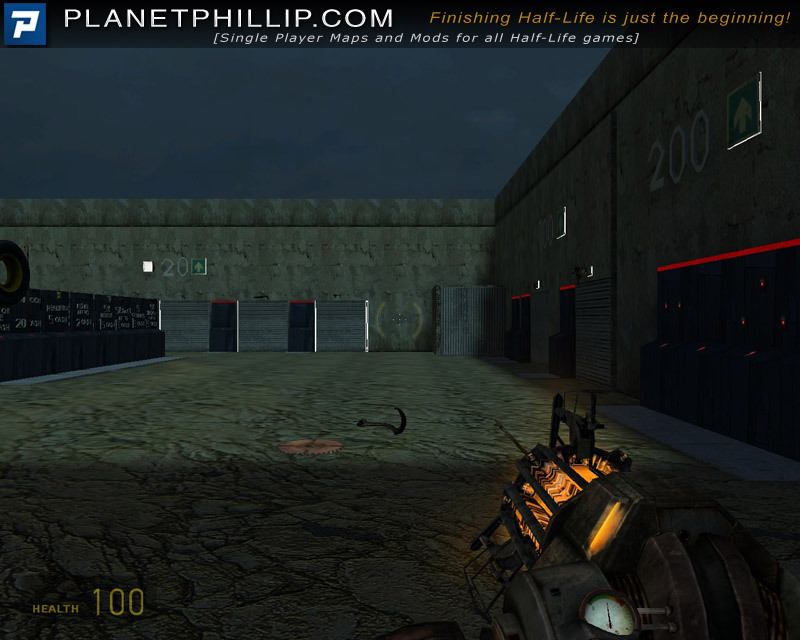 Copy zombidity.bsp into your Half-Life 2: Episode Two Maps folder. Open the console and type map zombidity. I’ve only given this a Maybe recommendation because the style of gameplay won’t appeal to everybody. I can see some players loving this and giving it a Personal Favourite but I don’t believe most will enjoy it that much. This map isn’t about the visuals, but all gameplay. The simple design is enough for killing zombies and that’s fine. Having different areas is good but some visual difference would have been better, it gets boring after a while. As you can see from two of the screenshots something went wrong with the map I played, so beta testing might have been a good idea. That said the errors, don’t really affect the gameplay much, so in this case, it’s nothing to get too worried about. I found it quite hard and without wanting to sound too negative got bred very quickly. The idea is that you kill zombies and receive cash for each kill, different weapons and upgrades cost different amounts and you have to choose which to buy. I really like the idea but feel that for me it would need to be included in a story-based mod and made to fit naturally to be any fun. 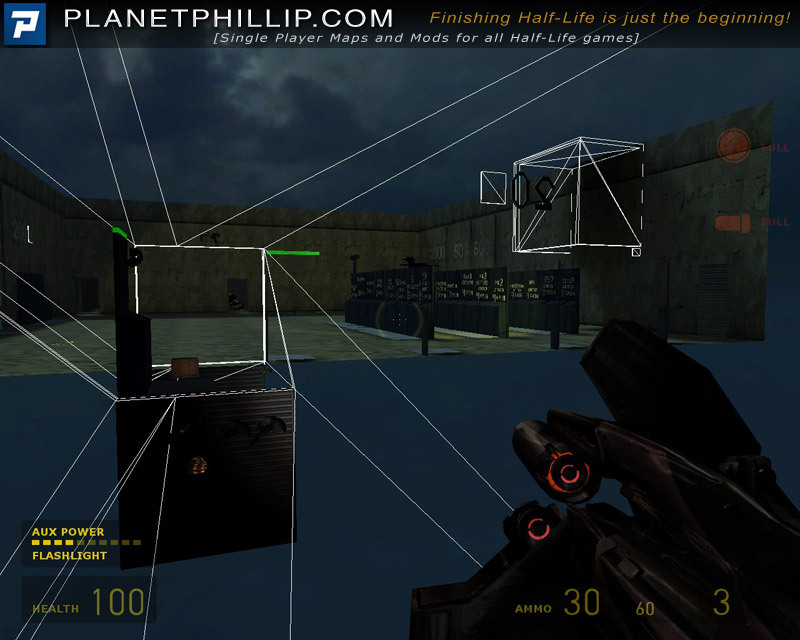 Making strategic choices about weapons etc, is not part of Half-Life, so it would be quite interesting to see *if* it could be done. Of course, it wouldn’t be hard to make the player enter a room with rebels before new levels and have them buy weapons etc, but that just doesn’t work for me. Also, it might begin to stray onto RPG gameplay styles and I am against that. Putting all that rant aside, this map tries to do something specific and it seems to accomplish it. The author has stated that he may now make a series of maps to use his newly acquired knowledge. I would like to say “Don’t do that!” Wait and see what the response to this release is first. I fear you may have to tweak the concept before it’s embraced by players in large quantities. @Gradius, it is normal for maps to take hours, even on normal. But the author should learn that you should never – ever – release a map compiled on fast settings. Always release using at least normal settings, or if possible, -final settings. 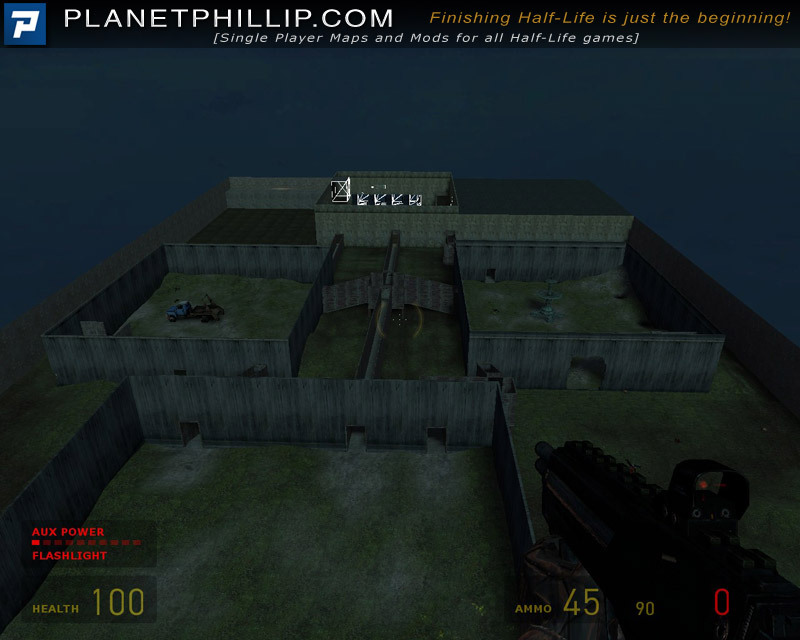 Although from the screenshots, the map looks very plain and boring, if the map had been properly optimized it should compile in less than a minute. Of course that depends on the CPU, but something like that should compile very fast. Visually, the level seems very boring, using some more light would be greatly appreciated. 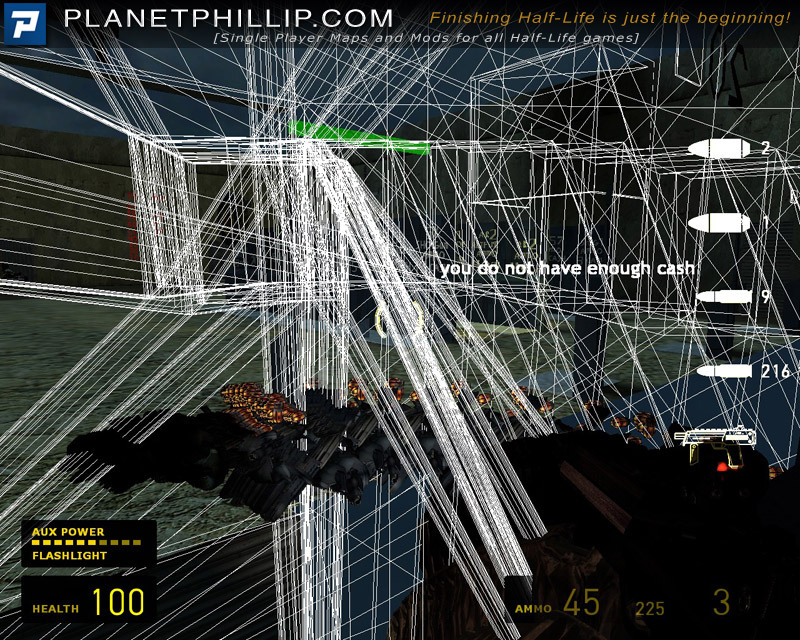 The final wireframe bug seems very interesting from a technical viewpoint, I wonder how that happened. I suppose it could be related to a broken material (texture) or a broken shader (pixel effects). The gameplay sounds interesting, actually, or at least, much more interesting than most survival maps posted here on PP. That said, I haven’t tried the map and don’t have the time, but I think this little map is worth commenting on as the author is trying to do something new that I haven’t really seen before. I love the title, but I don’t fancy the arena style gameplay so I’ll give this one a miss. Interesting style of game play, but would have worked better if the buying was done through a menu (I.E. Counterstrike) and the zombies were worth different cash values. Not a fan of borderlands eh? Do you like fighting a never ending supply of Zombies? Play it now. They’re OK but you like points and bonuses? Play it now. Fed up with Zombie bashing? Give it whirl just to see how it maps out but give up early. Tested my patience up to 500 points. Now something similar but with a full Combine onslaught including Striders, Hunters. Dropships, Gunships, APCs… that would hit the spot. Agree with all previous comments. Not altering my comment at all but on reflection, earning weaponry, ammunition and power-ups is quite a good mechanic for a fun map. I don’t like point scoring because I want to beat the enemy and win the map, not a number. Earning points or cash, but not both, to ‘spend” is different and a change is as good as a rest, they say, from the more serious maps and mods. I’d like to see this done against Combine who spawn to match your weapons. Ie start with the metrocops with a pistol and then work up. Thanks for the comments on my map. It seems this is a unique map in terms of gameplay. 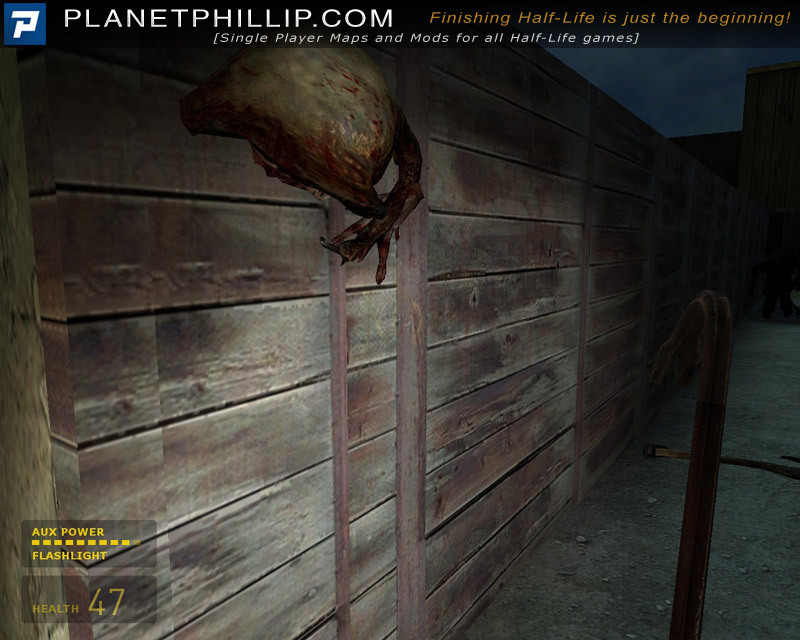 I would like to say that phillip is a good map tester, since he found bugs I din’t find. I compiled it on fast mode because it was on a shared pc, so I dont have it all to myself. It did compile in minutes by the way (1.20min) until I inserted the brushes to represend the text on the “machines”. I did this so I could leave out some entities, since the amount of entities almost reached 80%. Reply to buying in the form of a menu: I would like that more than enything. Only that would require that I make it into a mod. But I tried to figure out what was possible using only what is available. Too bad the visuals didn’t get a good rating. I tried my best but it seem I have a lot to learn. 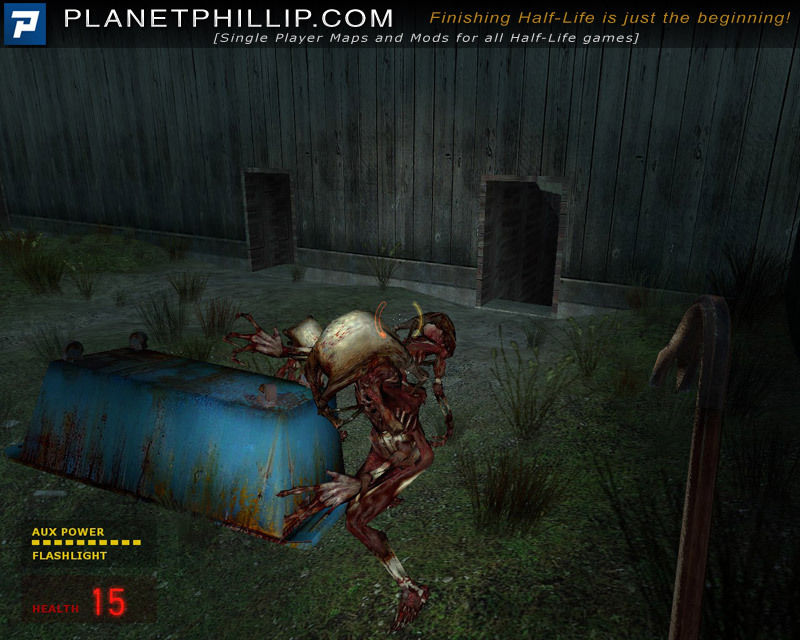 I would like to say that phillip is a good map tester, since he found bugs I din’t find. Thank you for the compliment, but in this case it was complete luck. Too bad the visuals didn’t get a good rating. Don’t worry too much because a map like this doesn’t really need them. You either like the gameplay or you don’t. The visuals won’t change that. Ok, I have not played this, and for that I say sorry to the author, however, having read all the above comments I just can’t force myself to download and play this one. 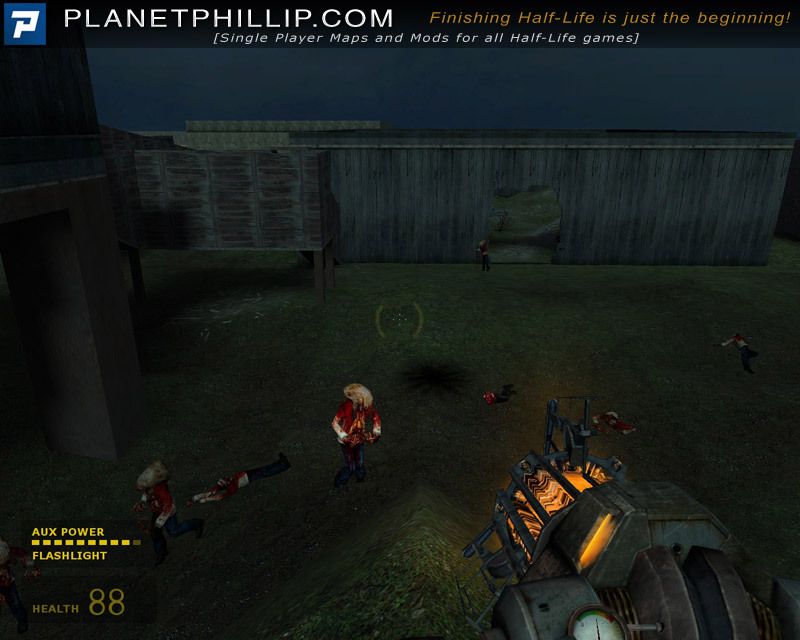 Is it too much to expect someone to release a normal even balanced mod that gives us most of the virtues of HL2 has we know it. It would seem that from what we have been asked to accept of late standard are at an all time low. Again I apologies for being negative regarding a release that I have not played, but the above comments are so typical of much that have been released and posted to the site of late. I don’t think it’s too much to ask but some players don’t want that. They like area-style gameplay, with no story – just the killing. This map gives them that. Thanks for the comment. You think the quality of this map is low. I can agree on that at some points. I created this map just for hobby, I’m not competing in eny contest or something, or earn money with it, so when it’s a map/mod that came from a contest or something you payed for, I think you can expect quality. I suppose you download only the best rated maps.